Snowflakes filled the air on Sunday, giving Sadie and I the perfect reason to celebrate and visit our neighborhood park after brunch. 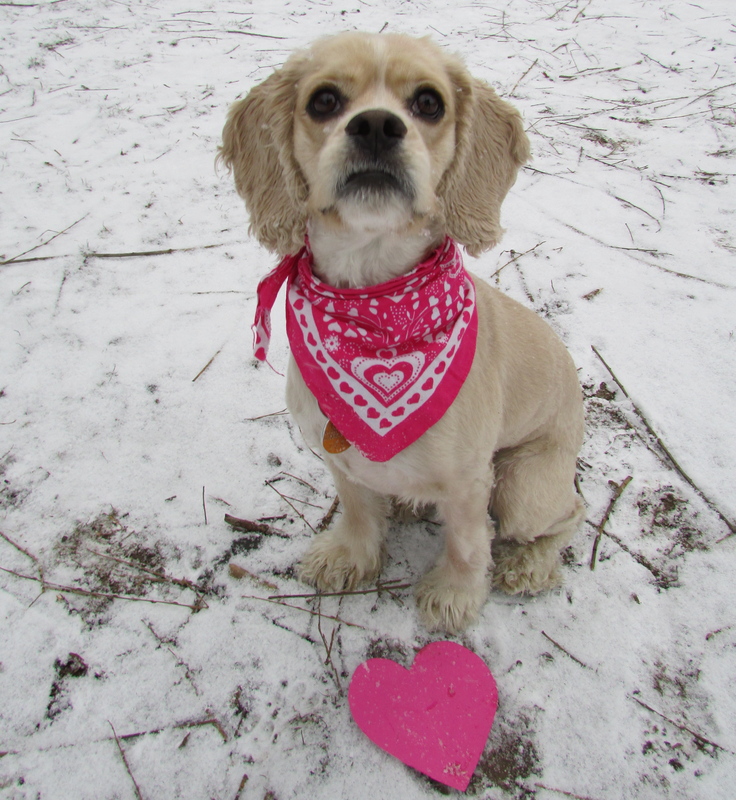 She loves running in the snow and collecting sticks to bring home and I was looking for the perfect excuse to take photos for our annual 2013 valentine. 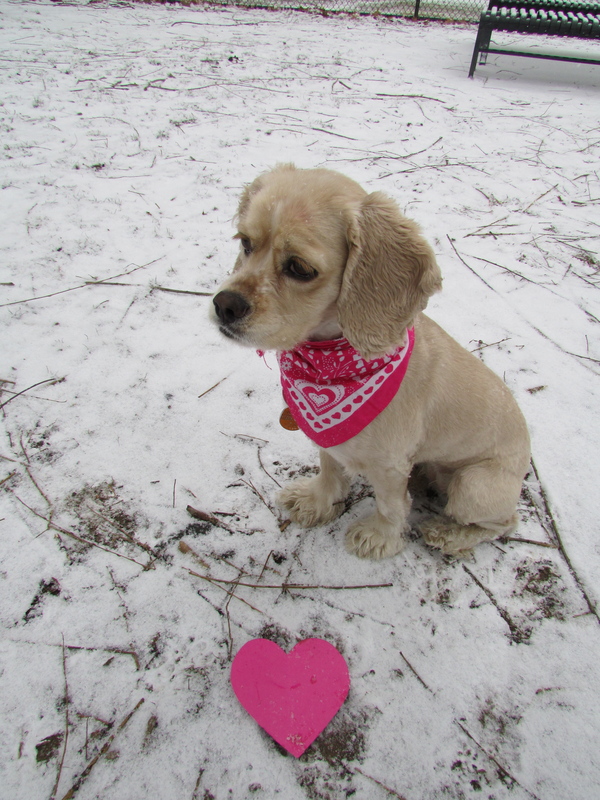 I am sure you are asking yourself….an annual valentine? Well it all started last year, when the holiday season came and went and in true Pearson fashion we ran out of time to send warm winter wishes to family and friends…..yikes! I decided then and there it would be fun to be like “Julia Child” and send out valentines. 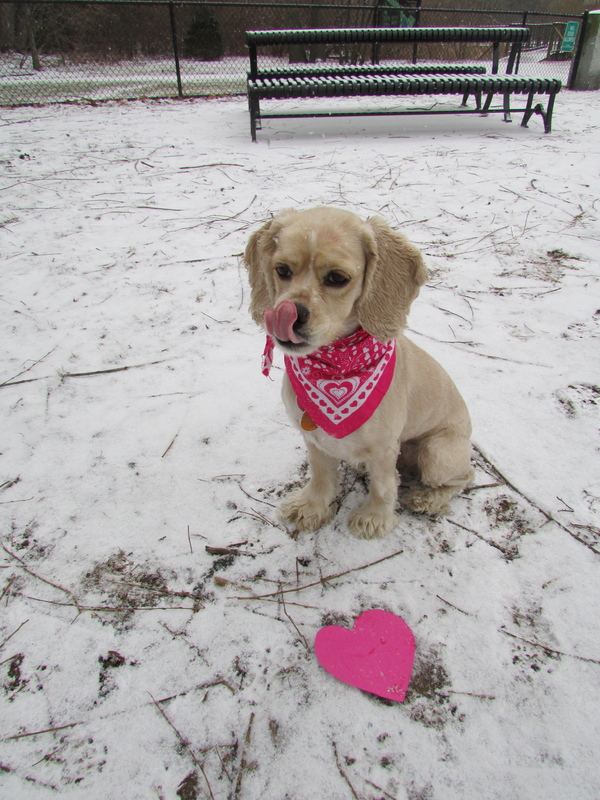 So with the help of Armory Park, at least a dozen dog treats, much needed hot chocolate and my trusty assistant Tiny Prints….wholla, the Pearson’s valentine came together and provided an afternoon of pure joy. I had a lot of fun putting together our valentine and for all those readers designing your own, I want to hear all about it! What type of valentines are you creating this February? 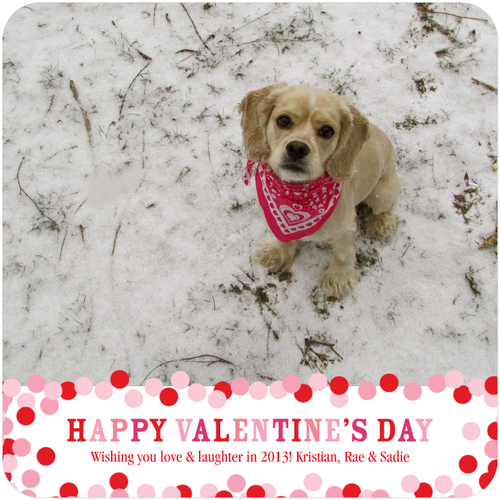 Posted in Jubilee, Puppies & SparklesTagged puppy, ValentinesBookmark the permalink.